Creating Delight is a mildly subversive, highly practical and entertaining alternative to the gaggle of gratitude promoters who seem a bit too serious about adding joy to your life. Whether you serve students/children, older adults, or your family and friends, use this book as a guide to illustrate concrete ways you can help them find delight. Delight has connotations of not only happiness, but unexpected pleasure. Find it in this book. 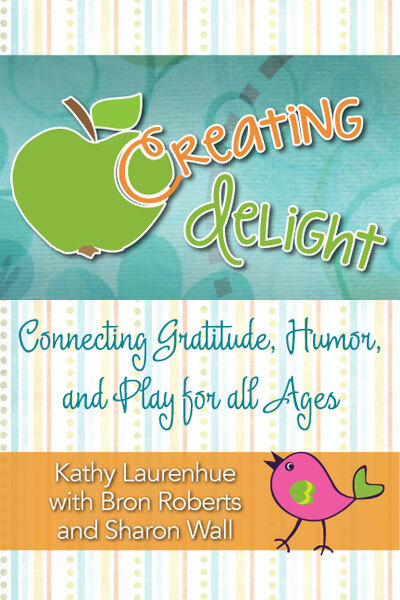 You can buy “Creating Delight” here on Kathy Laurenhue’s website.